Have you ever tried making your own yogurt? I popped into Sainsbury’s last night to buy a few bits that they don’t sell in Aldi. 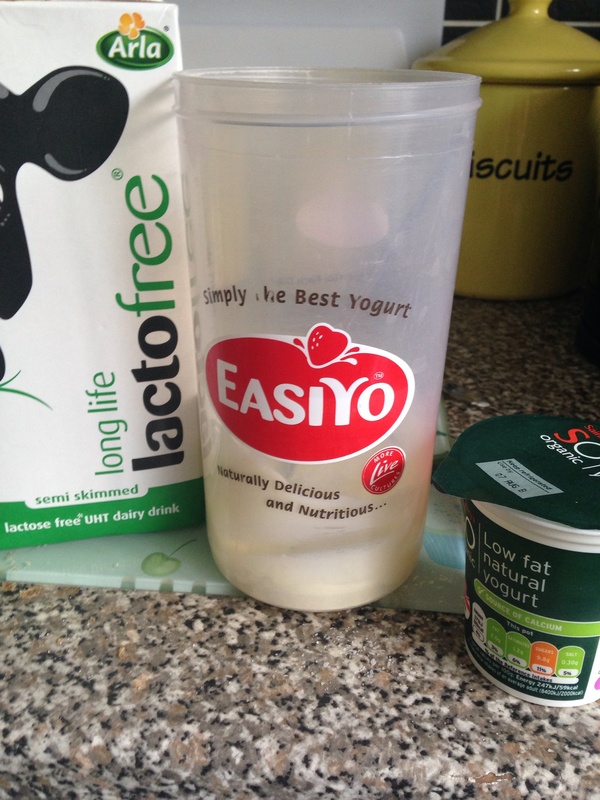 I was debating how many Lactofree yogurts I could afford (ie none really as I really need to stretch my budget!). They were £1.50 for four little pots; not extortionate but I could get six Sainsbury’s fruit yogurts for £1. , so there is no excuse. I bought some Lactofree UHT milk, a small pot of live natural yogurt to use as my starter and some dried milk powder to make my yogurt thicker. Ok, this lot won’t be lactose free, but as I have a dairy intolerance rather than an allergy it doesn’t matter that much. However, if anyone can suggest a thickener other than milk powder I would be grateful – I like my yogurt thick! This morning I mixed a tablespoon of milk powder with the same amount of starter, then whisked in the milk. I filled my yogurt maker up to the required level with boiling water, stood the pot in it and put the lid on. By the time I returned from work it was ready to be chilled. I have some blackberries in the garden so I will make a purée to mix with the yogurt and take a small pot to work each day. I reckon it will make double the amount contained in the 4 little pots and cost me £1.35 for a litre of Lactofree UHT AND 50p for my starter pot plus about £1 for the milk powder. Next time I won’t have to buy the powder or starter so it will be £1.35 for at least 8 pots of yogurt. If you don’t mind spending a little more and aren’t lactose intolerant, you can buy loads of delicious mixes to make various types and flavours. Are you into making your own yogurt? Do you use a yogurt maker? This post contains affiliate links. If you click through to make a purchase I will earn a small commission. Thanks! Try straining your yoghurt in a sieve lined with muslin or similar overnight to get a thicker consistency. I used to do this when I made yoghurt. Since I’ve cut out dairy I’ve switched to soya yoghurt but haven’t yet tried to make my own although I believe it is possible. 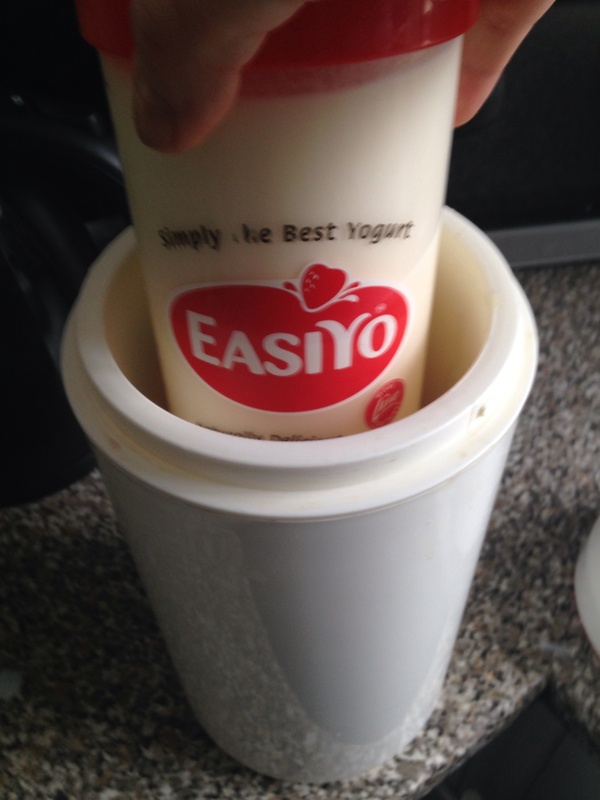 I make soya yogurt using a soya yogurt starter and soya milk in a regular yogurt maker. It’s okay. Straining it would make it thicker and you can always use the liquid in your breadmaking, so that nothing is wasted. 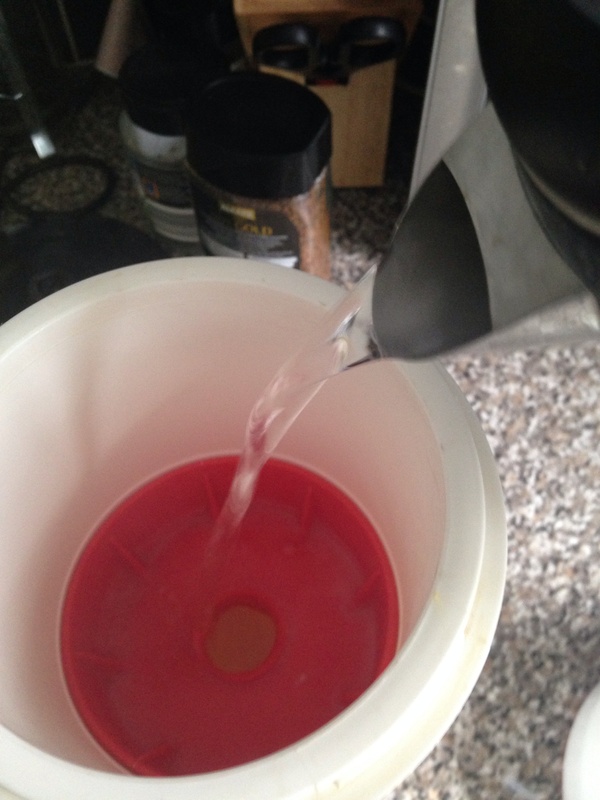 I have been making my own yoghurt for a few years now and wouldn`t go back to ready made/shop bought anymore. Can`t help with the lacto free thickener, but would be inclined to drain the yoghurt in a muslin sack until desired thickness has been reached. Thanks for all the tips everyone – I will find myself a new muslin strainer and give this a go. This iss the perfect site for anybody who really wants to understand thius topic. You understand a whole lot itss almost hard to argue with you (not that I personally would want to…HaHa). discussed for many years. Excellent stuff, just wonderful!